The Bancroft Flying Club owns a Cessna 172G Skyhawk aircraft that is available for rent to licensed pilot members. The Club provides a “check out” to licensed member pilots who would like to rent the aircraft. The Bancroft Flying Club does not provide flight instruction. Information about learning to fly and where you can go to learn to fly are provided below. Has learning to fly, been a dream of yours?? It is easier than most people think and there are many categories to choose from, depending on what is right for your goal and budget. You can learn to fly in Fixed Wing aircraft ranging from Ultralight, Advanced Ultralight, Glider, Homebuilt (experimental), Light Sport Aircraft and Certified Aircraft (like our Cessna 172); or in Rotary Wing aircraft such as Gyroplanes and Helicopters. Obtaining a Transport Canada pilots licence starts with a Student Pilot Permit which will allow you to do flight training and can lead you to obtain such licences as Ultralight, Glider, Recreational and Private Pilot (fixed or rotary wing) which can lead to a Commercial Licence, if a flying career is your goal. Attached is a great magazine article that uncovers some of the less obvious benefits you will gain from learning to fly. Click here to download a copy. For more information on learning to fly, take the following link to the Canadian Owners and Pilots Association (COPA) website: Learn To Fly. Where do I go to Learn To Fly?? This depends on your goal and the type of aircraft you want to fly and the licence you want to obtain. Transport Canada has a page on their website where you can search for flight schools in all categories and it can be found at: Transport Canada Flight Training Units. 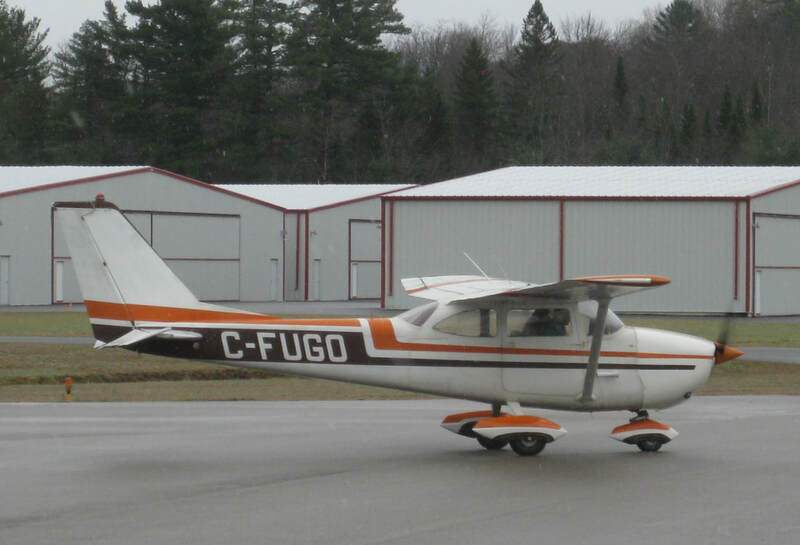 If your goal is to first learn to fly a certified fixed wing aircraft like our Club Cessna 172 and obtain a private pilots licence, the closest flight school to Bancroft is WM Aeroflight in Peterborough. If your goal is a professional flying career, there are many good colleges across Canada to choose from. The closest college to Bancroft is Seneca College which moved from Toronto to Peterborough in January 2014. If all of the information available to you is a bit overwhelming and would like to learn more about what choice might be right for you, please feel free to drop in on one of the Bancroft Flying Club's monthly meetings. Our Club has quite a diverse cross section of members with flying experience that ranges from Recreational Pilots to Airline Transport Pilots and everything in between. Any one of our members would be more than happy to share their experiences with you.